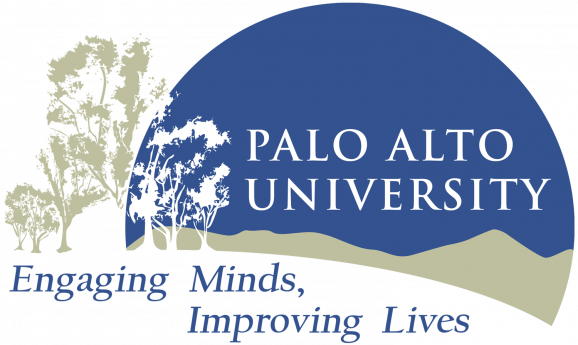 The Center for LGBTQ Evidence Based Applied Research (CLEAR) at Palo Alto University invites applicants for the Goldblum/Carr Two-Year Post-Doctoral Fellowship in LGBTQ psychology research. Candidates with a doctoral degree in clinical or counseling psychology or a related field are encouraged to apply. Candidates must have earned their doctoral degree by September 2019. We welcome applicants who are aspiring academics and whose program of research investigates issues of relevance to the health and well-being of diverse LGBTQ people and communities. We are especially interested in research that has an applied focus and/or focuses on intersectionality and disparities within LGBTQ populations. The postdoctoral fellow will receive advanced training in LGBTQ research under the supervision of Kimberly Balsam, Ph.D., Director of CLEAR and of the LGBTQ Area of Emphasis in PAU’s Ph.D. Program in Clinical Psychology. Duties of the fellow will include assisting with research projects being conducted through CLEAR and Dr. Balsam’s RISE (Research on Intersectional Sexual Orientation and Gender Identity Experiences) lab, developing and conducting an applied research project in their own area of interest, mentoring doctoral students in LGBTQ research, preparing grant applications, and working collaboratively with PAU faculty and community partners on research and dissemination of findings to relevant communities. Duties may also include some combination of the following depending upon the applicant’s interest and experience: conducting clinical work at the Sexual and Gender Identities Clinic (SGIC), assisting with supervision in the SGIC, and supporting LGBTQ pedagogy at PAU by providing guest lectures, teaching courses and/or workshops, and assisting PAU faculty in incorporating sexual orientation and gender identity into course syllabi and materials. The goal of the fellowship is to facilitate career development of early-career researchers who will contribute to the field of LGBTQ psychology, advance the state of science on LGBTQ health and related issues, and pursue a career that bridges the gap between science and practice for LGBTQ populations. The Center for LGBTQ Evidence-Based Applied Research (CLEAR) was founded by Dr. Peter Goldblum at Palo Alto University in 2007 with the vision that “every person – adult or child – will have access to the social and psychological resources necessary to construct affirming identities congruent with their deepest selves.” In the ten years since its inception, CLEAR has served a role of providing funding and support for faculty, students, and postdoctoral fellows at Palo Alto University to conduct research advancing the health and well-being of LGBTQ populations. This support has also enhanced training on cultural competency to ensure that the next generations of clinical psychologists are prepared to meet the needs of these populations. Dr. Kimberly Balsam joined CLEAR as Co-Director in 2011 and in 2017 became Director. CLEAR is one of three entities at PAU focused on LGBTQ issues – with the other two being the Sexual and Gender Identities Clinic, which serves as a specialty clinic within the Gronowski Training Clinic, and the LGBTQ Area of Emphasis in the Clinical Psychology Ph.D. program. Together, these entities make PAU uniquely poised as a leading institution among Clinical Psychology training programs in the United States in research, training, and clinical work with LGBTQ populations. See https://www.clear-research.paloaltou.edu/ for more information about CLEAR, https://www.paloaltou.edu/graduate-programs/phd-programs/phd-clinical-psychology/areas-emphasis/lgbtq-psychology for more information about the LGBTQ Area of Emphasis at PAU, and https://www.riselab.paloaltou.edu/ for more information about the RISE lab. Institutional Information: PAU has two APA-accredited clinical psychology doctoral programs (a PhD program and a PsyD program offered consortially with the Department of Psychiatry at Stanford University), an undergraduate completion program in Psychology offering majors in Psychology and Social Action and Business Psychology, a master's program in Psychology with plans for expansion, and a CACREP-accredited mental health counseling master's program with emphases in Marriage and Family Therapy and Counseling. PAU offers a collegial and productive work environment in the San Francisco Bay Area, a competitive salary, and an attractive benefits package. The Ph.D. program includes three areas of intensive training: classroom instruction, clinical practice, and research. It has seven areas of emphasis: Child and Family, Diversity and Community Mental Health (DCMH), Forensic, LGBTQ, Mindfulness and Meditation, Neuropsychology, and Trauma. PAU operates an in-house community clinic, the Gronowski Center, and advanced students are placed at off-site practicum placements around the Bay Area, including VA Medical Centers, community clinics, and schools. Applicants should have strong research experience and a research program related to LGBTQ psychology. We seek candidates who can contribute to diversity and equal opportunity in higher education through their research and clinical work. Applicants must have a doctoral degree from a program in clinical or counseling psychology or a related field. PAU is an EEO/AAP employer. Application Procedure: Applicants should electronically submit: 1) Cover letter stating interests and fit, 2) CV, 3) Three letters of recommendation (indicate names and emails for recommenders within cover letter), 4) Sample reprints or pre-prints of scholarly work; 5) Statement of research interests and description of a proposed research project. Review of applications will begin immediately and continue until the position is filled. Materials should be submitted to Diana Tran (dtran@paloaltou.edu). Questions should be directed to Dr. Kimberly Balsam at kbalsam@paloaltou.edu, Director of CLEAR.